One of the most exciting things in learning about skincare is personalizing products to suit your own specific skincare needs. Adding “boosters” of actives or additives is a growing trend as well, so to tap into it and make customization more attainable, we’ve compiled a list of some of our favorite easy-to-use additives. In particular, the 6 ingredients below can all be added to our finished products like creams or toners to boost vitamin and nutrient counts without the hassle of long-term heating or high-shearing during the process. 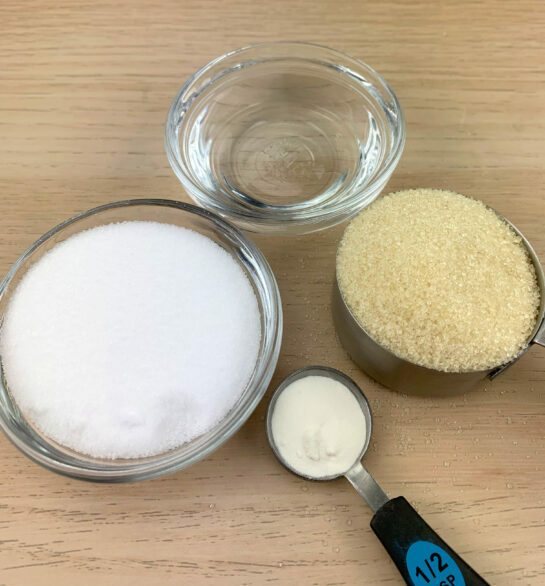 There are many additives that can be added during formulation, but these 6 are valuable in that they can be added at the end in your own kitchen. 1. Glycolic Acid. This popular chemical exfoliant is also an Alpha Hydroxy Acid (AHA), valued for its exfoliation and skin softening benefits. The acid is water soluble, so you could easily add it to a cream or lotion. We sell a 10% Glycolic Acid solution that can be added all the way up to 100% (using it neat on skin) as long as the pH is at or above 3.5. 2. Vitamin A Palmitate. Also known as Retinyl, Vitamin A Palmitate is oil soluble and does wonders for maturing skin. It also helps with chaotic or teenage skin, but we tend to prefer it in night creams. It is solid and waxy at cooler room temperatures so gently warm it up via a warm water bath before adding to creams or other oil-based products. 3. Honey. Harvested for millennia, honey is full of vitamins and nutrients, is a great natural humectant, and helps skin feel soft and cleansed. As with Vitamin A Palmitate, we suggest gently heating the honey till it is smooth and liquid—less than 100 F should suffice—before adding it to your product at about 1-2% in a cream, but of course it can be applied directly to skin. It’s ideal for a cream or leave-in conditioner or other hair products. Hydroxypropyltrimonium, although perhaps a daunting name, is honey that has been somewhat altered and is far less sticky, making it far easier to work with. Like standard honey it is water soluble but because it is less sticky, we might use it at 2-5% in a cream. 4. Collagen. This fundamental part of skin is now a popular ingredient appreciated for its wonderful benefits for aging skin. Collagen is water soluble and suitable for toners, creams, and lotions—just not balms or other oil-based products. You should avoid heating it past 82 F if possible and use it at 0.5% to 2% in your final product. 5. Vitamin E. Our Vitamin E is oil soluble, making it ideal for creams, lotions, balms, and other melt and pour products. It helps prevent rancidity in its formulations, and the same way that it helps with antioxidants in products, it delivers antioxidants to skin. It will help your products smell fresh for longer, and we use it at around 1% with a recommended maximum of 2% (any higher and it paradoxically can increase rancidity in products). 6. Vitamin C – Ascorbic Acid. Although there are many forms of usable Vitamin C, Ascorbic Acid is most desirable in skincare. It does, however, oxidize quickly upon being added to a product, meaning it turns the whole product brown. It’s often used at a lower percentage, but if you either a) don’t mind browning products or b) can add at time of use, it can be a wonderful addition to many products. It is water soluble and if you’re using at higher percentages of 15 or 20%, add and then use immediately. You could consider adding a tablespoon of lotion to your hand, and then add in a large pinch of the crystalline-like Ascorbic Acid and mix and apply. Otherwise your product will start to brown after just an hour or two. These additives are all valuable components in a skincare line and offer real benefits to skin, especially as it matures. We hope you have fun personalizing our products to make them your own, and encourage you to let your customers know how they can get involved as well. Do you have a favorite active to add? Let us know!